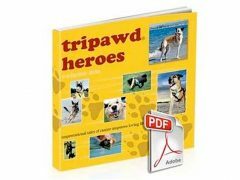 The Tripawds Nation has no borders. 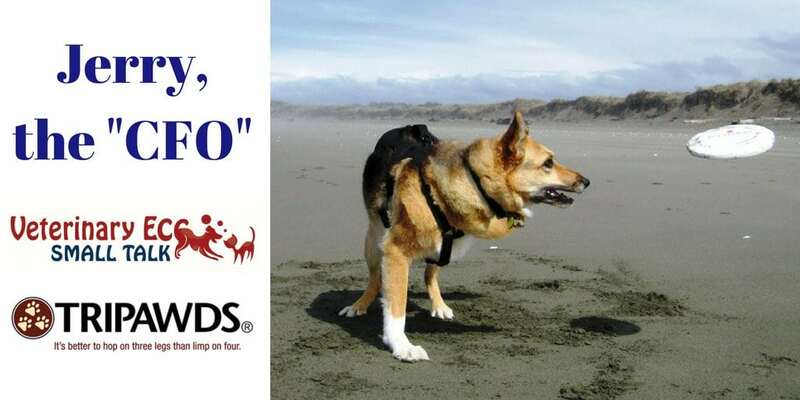 We are a global community for anyone in need of support and information about life on three legs. That’s why we’re especially happy to appear on the Veterinary Emergency and Critical Care Podcast with Shailen Jasani MA VetMB MRCVS DipACVECC, a small animal veterinary ECC specialist based in London, England. Hearing the recommendation to amputate your dog or cat’s limb is shocking. Most of us are unprepared and not in the best condition to absorb information like this. Vets, however, are well-acquainted with amputation and understand that animals can adapt. They can try to reassure us all they want, but since WE aren’t as familiar with three-legged animals, it’s hard to believe our pet can do fine. Since veterinarians deliver the amputation recommendation, we want to help them understand our point of view when confronted with this choice. The more veterinarians know what’s in the heads of pet parents faced with this daunting choice, the better these vets can prepare clients for whatever lies ahead. We hope you enjoy the podcast. 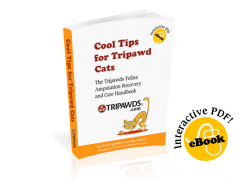 Consider sharing it with your veterinarian, along with the Tripawds Outreach Brochures available at no cost to anyone who requests them.